Steve Jackson Games Incorporated has a single stockholder: me. But many people have a stake in our success. Our STAKEholders are our employees, our distributors and retailers, and, of course, the people who play our games . . . as well as the freelance artists and designers we work with, the printers who create the finished product, the volunteers who demonstrate our games at conventions and retail stores, and the folks who run game conventions. We try to stay in touch with our stakeholders. Most of our communications nowadays are via Internet: our Daily Illuminator blog, our Twitter feed, our forums, the web pages for our games, and the letters that go to the 200+ people and companies to whom we pay royalties. And, every year since 2004, I've written an annual report not unlike the "report to the stockholders" that you'd expect from a public company. This is it. We are, as I assume the reader knows, a publisher of games. We have been in business since 1980. We now have 28 full-time staff and contractors (and need a few more), plus several part-timers. Most of our line consists of card games, board games, dice games, and RPGs. We sell through both hobby distribution and the mass market. I finally took some genuine time off in early 2013. That hasn't happened for a while, and counts as a small win all by itself. But this report was one of the things set aside while I was out. So, though it covers 2012 and reports our 2012 figures, it's written from my current perspective, in mid-April of 2013. We kept our core Munchkin sets in print almost all the time, despite high (and sometimes spiking) sales. The Munchkin line, including the Munchkin Quest boardgame, accounted for about 75% of our sales. Munchkin is now available in 15 languages, with two more licensed. We also produced a lot of new Munchkin material. Sales of dice games stayed strong, accounting for 8.35% of total sales. Zombie Dice was our #4 item, ranked by dollars. We continued to offer GURPS support, mostly in PDF form. In total, we shipped 54 different items (one more than last year): 26 new, 28 reprints. The 40 most popular are listed at the bottom of this report. We raised nearly a million dollars with the Ogre Kickstarter (more on that below). That was a dramatic upward tweak to gross sales, but if we hadn't been working on Ogre we would have shipped Castellan and more Munchkin in 2012, so the Kickstarter income was not as huge a distortion as it might first appear. Our management team, led by COO Phil Reed and Director of Sales Ross Jepson, and our Munchkin team under the direction of Czar Andrew Hackard, are maintaining our quality and embiggening our market. This turned out to be the focal event of the whole year. It was huge, with a lot of win and a lot of fail. The Kickstarter for the $100 Designer's Edition of Ogre launched in April 2012. When it ended a month later, supporters had pledged $923,680. We could easily have broken a million if we had kept setting stretch goals, but enough was enough. Maybe even too much. In the following months, like many other popular Kickstarter projects (not that that's an excuse), we found that we had not planned for enough success. In retrospect, the enormity of the printing job absolutely ensured that unexpected things would happen. In fact, several did, the latest and most frustrating being a series of errors in creating the plastic counter trays. That wasn't supposed to be the hard part! Because we are testing and re-testing at every stage, a lot of problems have been caught and fixed. We only hope that we are catching them all, because this will be an amazing project when it comes out, and we want it to be as near perfect as possible. The final box will be 24" × 20" × 5.75" and will weigh 24 pounds. It will have five huge maps and more than 1,000 counters, many of them 3-D constructible Ogres and buildings. It will probably never be equaled in sheer size and awesomeness. If it were sold at a normal gaming markup over print costs, it would probably go for around $400, but retail for the base set will be $100. And it will be at least seven months late, and it totally wrecked the 2012 schedule and is impacting 2013, and it just about drove Phil Reed and Sam Mitschke mad as they managed the project, AND we may very well lose money on it when all is said and done. But it's going to be beautiful. It's a thank-you gift to the fans (that's where some of the Munchkin money has gone). And since retailers and distributors will get their normal markup on a $100 box, it will put some of that money right back into the hobby business. So you see why I see it as both a big success and a stressful failure. It's both of those things. But we learned a lot, and we're going to do it again, better, for Car Wars. If you'd like to read more (a LOT more) about the project and current progress, read the Kickstarter page, with its (currently) 81 updates. It was another huge year, with more licensed releases. In June, we released our second licensed core set, Munchkin Conan. We also released three licensed 15-card boosters: Munchkin Skullkickers, Munchkin Penny Arcade, and Munchkin The Guild. All did well, and The Guild blew the doors off the warehouse. Crossing Munchkin into the other worlds of geekery is sometimes a challenge and almost always fun. Munchkin Apocalypse was our other new core set, shipping in November. It was a hit; an expansion (as yet unnamed) and a licensed booster (Mars Attacks!) are on the way. 2011's new release, Munchkin Zombies, is going strong, with two expansions already out and another coming early in 2014.
. . . being developed by Tinderbox Entertainment, is moving forward. Here's the trailer they created. We don't get the credit there . . . that was all Tinderbox. See, these guys are silly enough to do Munchkin! We wish that this was finished, but what we have seen so far makes us smile, and we hope for a win here in 2013. 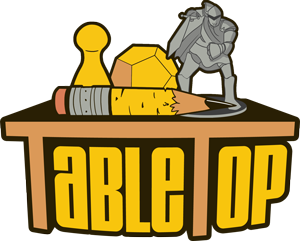 2012 saw the premiere of a web series created by Wil Wheaton and Felicia Day: TableTop. Part of the YouTube "Geek and Sundry" channel, TableTop is an exploration of, yes, tabletop games. The show became an instant hit, and we got to be part of it! Zombie Dice was one of three short games covered in Episode 3. In Episode 5, I played Munchkin with Wil, Felicia, and Sandeep Parekh. And in Episode 18, Andrew Hackard played Chez Geek with Wil, Paul Sabourin, and Storm DiCostanzo. The latter two being, of course, Paul and Storm. We love TableTop. It's smart, it's good for the hobby, and Andrew and I really enjoyed our time on the set. As this is being written, a second season has just premiered. If you've never seen this show, go check it out. You'll have a good time and you'll learn about some great games. Yes, that's a plug. They deserve it. In January 2012, our test of Munchkin in Target stores went system-wide. Almost every Target store now stocks Munchkin. And some are testing Munchkin Zombies! Later in the year, Trophy Buck passed its sales trial at Walmart and is now in most Walmart stores. In 2012, we produced an exclusive Munchkin box, Holiday Surprise, for Barnes & Noble. There will be two more in 2013. Note, though, that the exclusivity is for a limited time, and eventually all these sets will show up in your local hobby shop. Online sales remain strong. We are still working on a new shopping cart that will let customers buy both physical games and PDFs at once. Sales in our digital-product store, e23, were down about 15% last year, which we lay squarely at the feet of "fewer new PDFs." We think we're the #2 or #3 seller of downloadable files for the gaming community – but this is a guess, as we have no figures for the competition. During the year we added 19 brand-new PDFs for GURPS, a new Munchkin freebie (Munchkin Thingies) and 45 PDF editions of previously printed supplements (including some high-profile releases like the classic GURPS Conan series). We also added new PDFs from Amarillo Design Bureau, Atlas, 0one Games, BTRC, and other publishers. The ADB releases, like last year's, were especially successful. Our business organization remains reliable. Our financials and royalty payments have stayed up-to-date for years. Our cash flow report is now routine. We still need a formal budgeting process. We have no advance budgeting here; we get by on a few ancient-but-effective rules of thumb, diligent cost accounting, and a dash of paranoia. 2012 was a good year for staff building. Eric Dow joined us as Human Resources Manager, which will help with the next hires! We lured Daniel Jew away from the ivy-covered halls of Cambridge to take the helm of Ogre. Three gaming geeks got internal promotions. Ben Williams is now our Marketing Director, and Leonard Balsera, no longer a mere Hireling, is now Munchkin Baron. And Birger Krämer, a long-time Man In Black, is now MIB Control! In 2012, we gave bonuses totaling 19.9% of regular payroll, plus modest raises. As in the last three years, we had two "office closed, but everybody gets paid" weeks – one in summer, one at the end of the year – and we always have at least two paid Game Days in the office. Early in 2012, we ordered 100,000 copies of Munchkin . . . and that print run barely got us through the year! We did a hanging store sign with QR codes on it; use your mobile device to read it, and get a Munchkin in-game bonus! (Technically 2013, but so what?) After the launch of the Ogre War Room app, we found in-house talent to port it to Android (Keith Blackard, and that version is already available) and Windows Phone (Brandon McClelland, and it's coming along). We added more than 200 retailers to the Store Finder. GURPS took home three Ennie Awards, two for GURPS Horror and one for GURPS Social Engineering. And Trophy Buck got into Walmart! This re-skin of Zombie Dice was specifically aimed at the mass market, and it is selling well! These were the places where we wanted a win and didn't quite get one, or where success and failure were mixed.
. . . were supposed to be finished by the end of 2012. They weren't. Some of that is because Alex K's talents got dragged away to create Ogre art. Some is because it's taking too long. We appeared at several major shows . . . met a lot of fans, cemented some professional relationships, and didn't suffer anything worse than exhaustion and a bit of plague. But those are bad things, and we need to improve our event planning. The GURPS schedule was another casualty of Ogre. Because Sean, Jason, and Steven were not pulled into the Ogre project, a lot of PDFs still made it into e23, and progress was made on the hardbacks. Which was good, under the circumstances! But this time last year, we thought there would be three hardbacks in 2013, and we still think two of them will make it, including Sean Punch's GURPS Zombies. The other one required my own involvement, did not get it, and still has not gotten it. This year, other than the whole "Ogre is getting later and later and taking the rest of the schedule with it" thing, the only failures to report are some old repeats. We're still not doing Print On Demand. In early 2013, we gave up on it for now and repurposed the "POD room" for offices. We still have nothing like a budgeting system. Once again, we didn't launch UltraCorps. Kira continues to maintain it and is now adding team-play features. We still have entire shelves of partially completed games, some from outside designers, so we are still not soliciting further submissions. Our pipeline is still over-full. The only unfinished game that got serious attention in 2012 was Castellan. We finished with testing and revision but, because Ogre monopolized both brainshare and production resources, we didn't get it to print in 2012. But it's at print now. 2012 was an interesting year! Kickstarter emerged as a driving force for game publication. In our hobby, highly supported projects included Reaper Bones, Zombicide, and FATE Core. The direct-to-consumers model lets creators reach out to supporters who don't frequent retail stores, but its effect on the stores themselves is not clear. PAX expanded again, with the original PAX Prime going to four days, and a PAX announced for Australia. Hobby staples like Munchkin, Catan, and Ticket to Ride are appearing on more and more mass-market shelves. This is a big win for the hobby, because it's seeding the market with new players of the core games! WotC announced that there would be a new D&D edition, "D&D Next," and started playtest. A new "TSR Games" was formed, with the involvement of Ernie Gygax and some former Dragon Magazine personnel. The first issue of the new TSR's "Gygax Magazine" appeared in early 2013. The "TableTop Effect" seems to be a thing. Many of the games featured there had a sales spike and then settled down at a higher sales level than before. We know we saw that with Zombie Dice and Chez Geek. With Munchkin sales as high as they are already, it's harder to see a blip, but we have heard from a lot of people who said they bought it because of the show, loved it, and are watching TableTop for their next game! and the publishers, small and large, who distribute their digital products through e23. Ship several new Munchkin releases in a variety of formats (including digital); get Munchkin into new markets; promote Munchkin enthusiastically. Done, except for digital, which is a disappointment. Otherwise, that went very well. Release more dice games, and possibly one or more small card games, or even "toylike" games, at low price points. Barely happened. We got a small shipment of Dino Hunt Dice late in the year. Otherwise, Ogre ran them over. Clean out more of the old pipeline. Make Ogre 6th Edition happen. Well, Ogre is at print now, at least! We did work on some pipeline items, but in no sense is it "cleaned out." Finish the upgrade of our website and online store. Not done. These are a bit changed from the last couple of years, just because we've grown, Ogre happened, and our situation is different! Though six priorities may be too many when we managed only about 2.5 out of 5 last year . . .
Keep our Kickstarter commitments: ship Ogre and get the Car Wars redesign off to a good start. Keep most of the core Munchkin sets in print. To control our own inventory and the retailers', we will let some of the slower-moving core sets go out of print for a few months at a time. Zombie Dice has to stay in print, too. 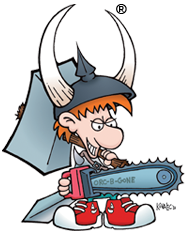 Ship a lot of new Munchkin releases in a variety of formats. Improve our communications with both fans and retailers. With Ben and Birger in place, and a Community Manager high on the need-to-hire list, that can happen. REALLY finish the upgrade of our website and online store. Consider plowing some of our Munchkin income back into the hobby by acquiring other companies that have games we like. If we make such a deal, do it well. Everything else is a non-priority, something to do if the priorities are under control. 17. Munchkin Booty 37. Revolution!